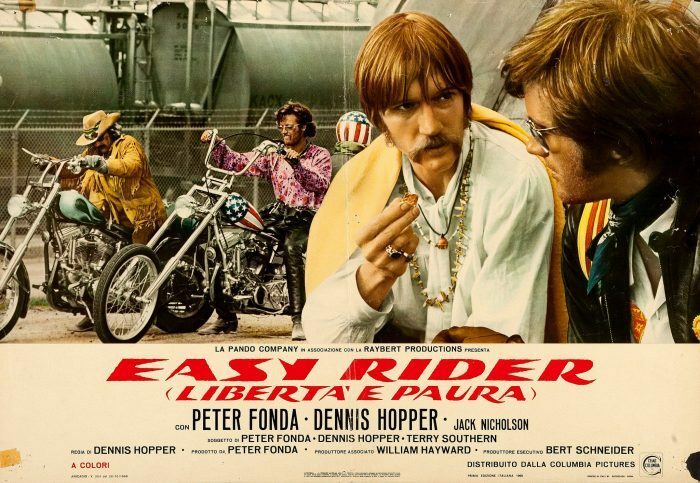 As far as counter-culture films go, not many have been as influential or as controversial as Easy Rider. 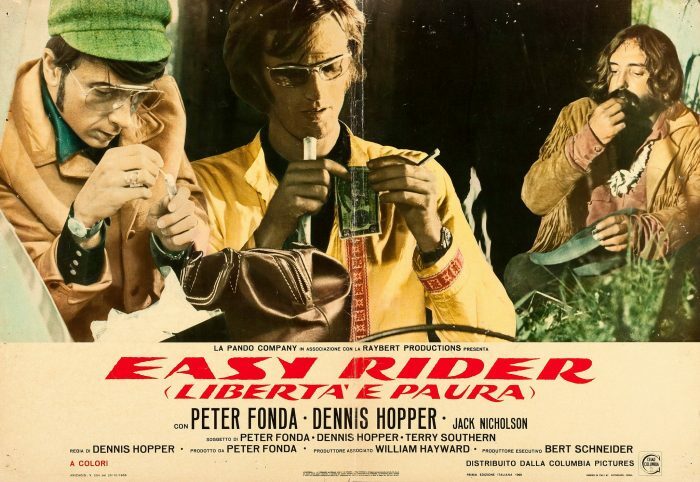 Notable for the use of the actual article in the drugs scenes, as one of the movies that kicked off the whole ‘New Hollywood’ (or American New Wave – basically young directors on low budgets being given free rein for the first time) era of filmmaking in the early 1970s and as one of the first films to explore the whole counter-culture experience of the late sixties. 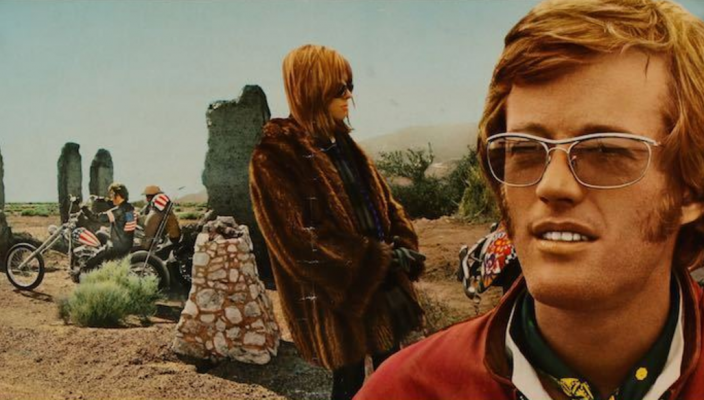 It was a critical and commercial success bringing in a whopping $60 million worldwide from a budget of some $360,000. 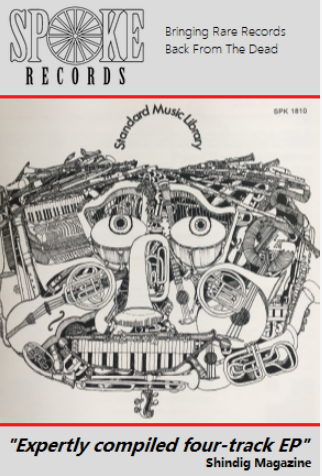 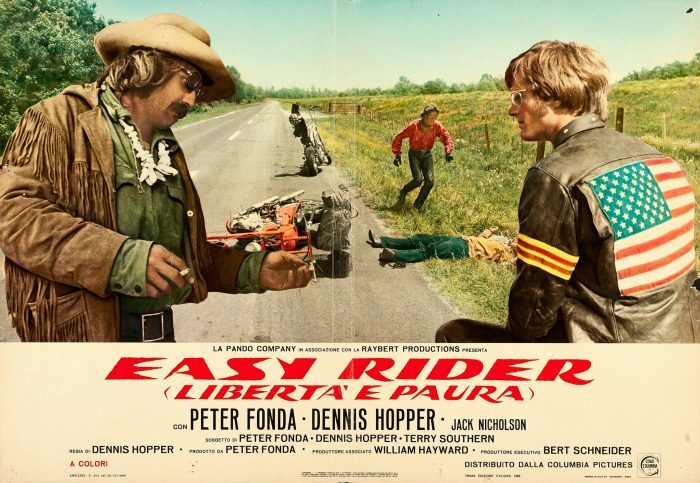 Interestingly the licensing costs for the soundtrack cost almost three times that of the shooting of the film coming in at $1 million. 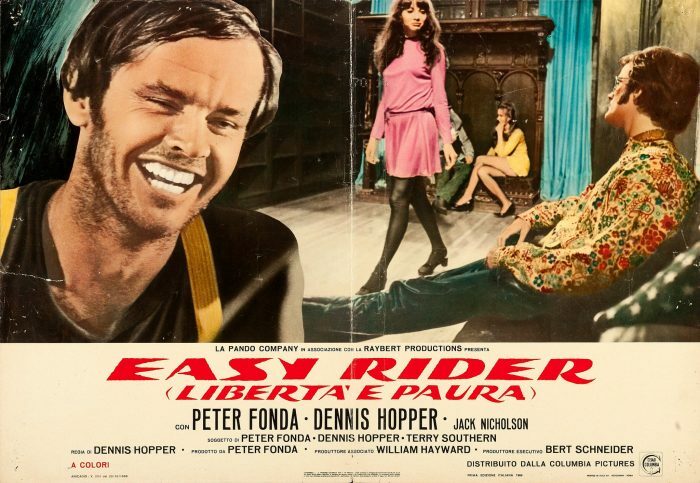 By way of a rather obscure find, here we have some Italian Lobby Cards from the film, in the style of a movie poster and all the better for it. 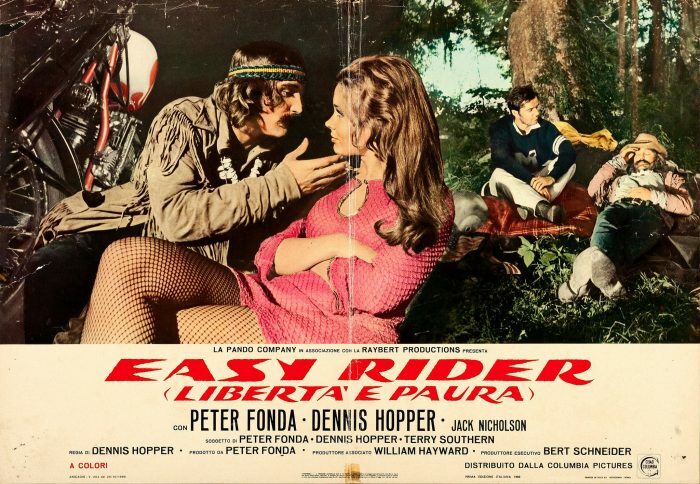 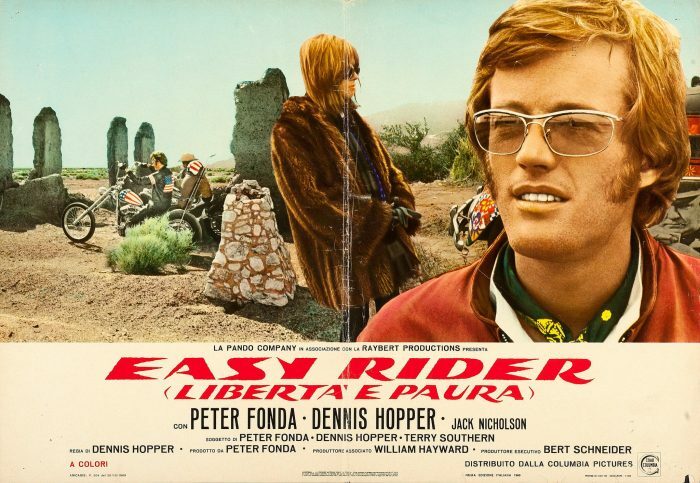 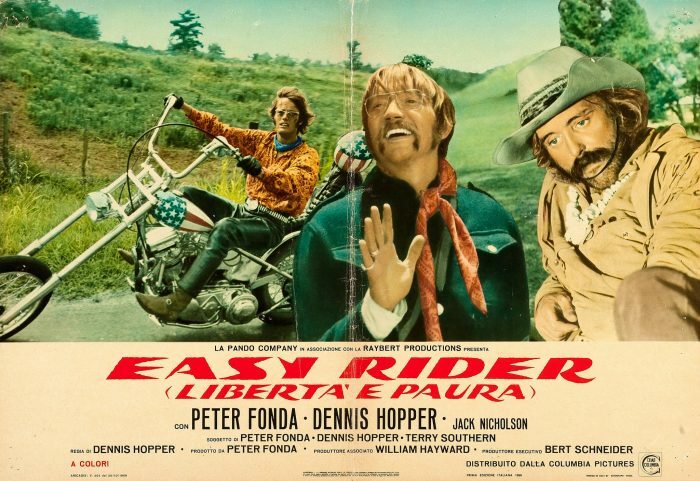 Feast your eyes on these and next time you get the chance watch Liberta e Paura as our Italian cousins like to call Easy Rider.